Reporting to any agency is very important, and it takes a significant amount of time in the everyday work. RTB Media helps a lot with the reporting to the agencies. It is a data-driven model and helps the domain visitors to analyse the target area. RTB Media helps you save up to 40% of your time by allowing you to create a report with just a click. It helps you find the right target audience. The team establishes the campaign strategies based on your goals. They have dedicated campaign managers to manage and optimize your campaigns. 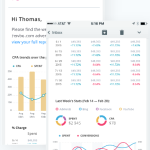 The application has four versions, free, business, agency, and Data Warehouse. Handle your ad channels and campaigns with the generated reports and compare and measure any metric in the same interface. View a detailed report on campaigns and make decisions based on the accurate statistics. Reporting tool calculates the performance metrics automatically by allowing the users to choose the required conversion calculation. The users can receive the reports on their email and also select the frequency (daily, weekly, etc.) with which they want to receive. Track your client’s conversion path to lead them to you. The users can improve their marketing by learning the path of purchase of your customer’s. The platform does not have for any mobile applications. But still, the platform can be used from the mobile browser. The application provides the feature to integrate with google docs so that the reports can automate without any manual intervention. The templates are also available readymade. 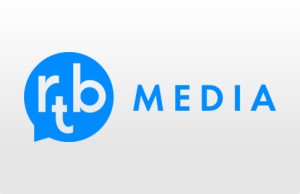 RTB-media bidder, Double click, Facebook, Twitter. MasterCard, Lotame, RTB-media DMP, and much more. DoubleClick, AppNexus, OpenX, AdSense, MoPub, Pubmatic, and much more. Ex: Forbes, Washington Post, Mashable, etc. The application provides support through live chat. It provides phone or email support for agency and data warehouse editions. The users can also connect with the application accounts on social media like facebook, twitter, linkedIn, Youtube, and Instagram. Once a data source connected cannot be removed. Once a report created cannot be undone. The application provides third party audience, behavioural and contextual targeting and viewability. 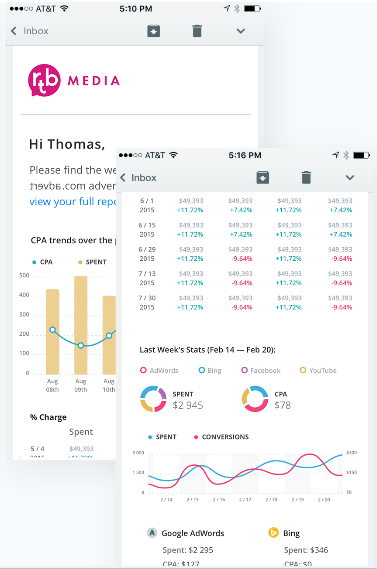 The quick report generation also makes this stand out of the crowd. For more details, please visit RTB Media website.